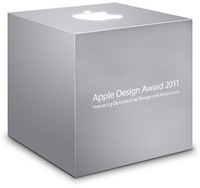 The annual Apple Design Award winners from WWDC 2011 have been announced. The awards go to apps and developers that “set the standard of excellence” and excel in design, innovation, and technical excellence. 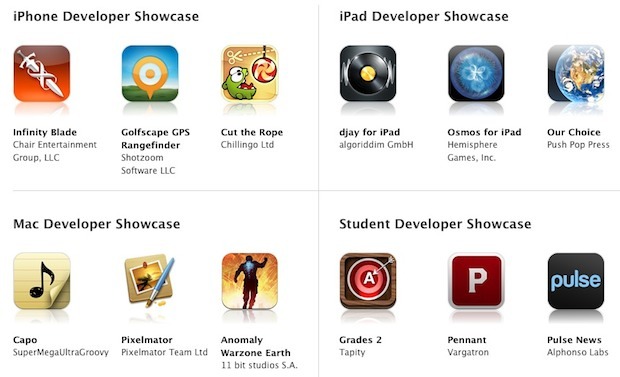 Our Choice – Push Pop Press, Inc.
Lucky winners get a MacBook Air, iPad 2, iPod touch, a cube ADA 2011 trophy, plus a lot of attention and respect from Apple and developer communities. These are great apps, Pixelmator 2.0 is when I’ll finally be able to ditch Photoshop. I own most of these already, good picks but some of the big name devs probably already have the hardware they’re giving out as awards. I bet the students are stoked though!